Why can't I watch The Hobbit 3: The Battle of the Five Armies on my iPhone? Q: How can I watch on The Hobbit: The Battle of the Five Armies movie on my iPhone? Watching videos on mobile is very popular and I see almost everyone has a smartphone today. But I don't know how I can do this on my iPhone? * 'Hobbit: Battle of Five Armies' Rules Foreign Box Office With $117.6 Million: "The Hobbit: The Battle of the Five Armies" was the one film to rule them all at the foreign box office at the opening week, picking up a massive $117.6 million. It ranks as the biggest Warner Bros. opening ever in Russia. * 'Hobbit' Rings Up $117.6M Debut, Sets IMAX Record; More Intl Box Office: The Hobbit: The Battle Of The Five Armies stormed into 37 markets and outperformed the previous two installments in Peter Jackson's trilogy on a local currency and admissions basis. Box Office of The Hobbit: The Battle of The Five Armies: grossed $955,119,788 worldwide and $255,119,788 in USA. Although The Hobbit 3 did not come up on screen of North America, it had already led to a swathe. Why? The finale triggers the sentiment of moviegoers? There are some breakthroughs on photography and plot? It may be unable to find out so far, but The Battle of the Five Armies is nevertheless believed to be installment of utmost effort. 4. Whether the audio is normal and the sound effect is perfect. The teaser trailer for the film was released on 28 July 2014 and other official trailers have been available on YouTube already. 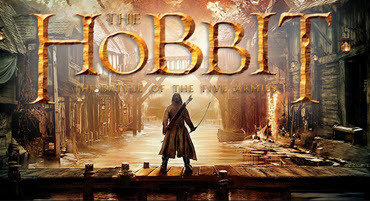 It is not so easy to find the full movie video, but you can read the guide on Free Downloading The Hobbit 3: The Battle of the Five Armies Full Movie from YouTube or Downloading The Hobbit 3 Torrent. How to Watch The Hobbit 3 Movie on iPhoneiPad? Download and Convert The Hobbit 3 full movie to iPhone, iPad. Free download The Hobbit 3 full movie, 4K trailer, soundtrack. WinX HD Video Converter Deluxe will help you both download the full movie from YouTube, and convert HD movie videos to be playable on your iPhone, iPad and Android by not only shifting the video formats and compressing the file size, but also changing the aspect ratio (such as, from the theater 2.35: 1 to iPhone 16:9) and resolution, while keeping the original Datasat and Dolby Sound Mix effects. To play back The Hobbit The Battle of The Five Armies on iPhone/iPad, you need to download and install the HD video converter first. Step 1. Download The Hobbit 3 movie online. 1. Go to YouTube, and type the words related to the movie name. Click "YouTube URL" button, copy the video URL, and enter it into the pop-up window. 2. Click "Analyze" and choose an output result based on the video information (Resolution, Format, Size and Code) listed. 3. Tick the button "Auto convert" and click OK to wait for the following operation of video conversion. The video software is even capable of downloading 4K movie trailers of The Hobbit: The Battle of the Five Armies from YouTube, in addition to 1080p or 720p videos. [Note]: Of course, you can look for the other way to download the full movie after you make sure it is safe (without any adware or malware kind of thing) and contains the soundtrack. 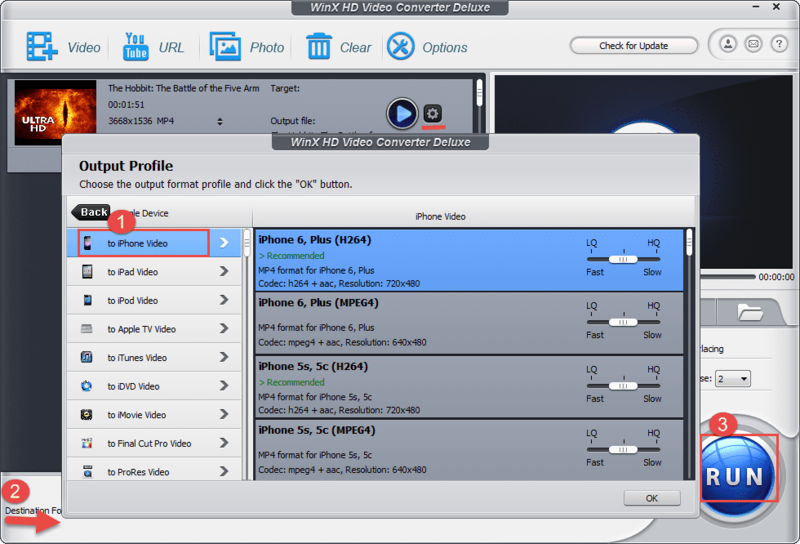 And WinX HD Video Converter Deluxe will also convert your downloaded The Hobbit 3 video to iPhone iPad supported formats. Step 2. Convert The Hobbit 3 to iPhone/iPad. 1. On the newly pop-up Output Profile window, find and click Apple Device, select "to iPhone Video", choose "iPhone 6, Plus (H264)" or "iPhone 6, Plus (MPEG4)", and then click "Ok" button. You can preview The Hobbit 3 movie through the preview window. 2. Click "Browse" button and select destination folder to save your converted video. 3. Click "Run" button to start the YouTube to iPhone 6 video conversion. After a while, you will get an .mp4 video file of The Hobbit: The Battle of the Five Armies. 1. This is the ready-made profile for iPhone which saves the annoying parameter settings. But if you'd like to make some changes on the video resolution, aspect ratio, ect., you can set them as well. 2. 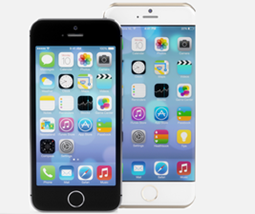 The principle of converting videos to iPad, iPod, Apple TV, Android, PSP or WP8 is similar. Q: The Hobbit Movie was not downloaded completely so there is no audio but video is there. What to do?? 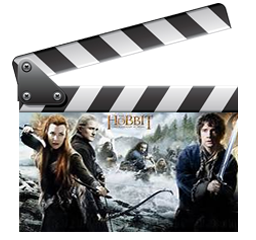 Your best movie playback solution: Rip DVD of movie The Hobbit 3: The Battle of the Five Armies to iPhone/iPad supported video formats without obvious quality loss, copy DVD to ISO image file or DVD folder, convert DVD to AVI, MP4/H.264, MPEG, WMV, FLV, M2TS, MOV, etc.